In a Berlin workshop, the violins come to life in the hand of Frank Rittwagen. The multitude of instruments of all sizes, meticulously placed on the walls and around the table, seem to be detached from another story. The smell of warm wood introduces us to a new craftsman: the luthier. 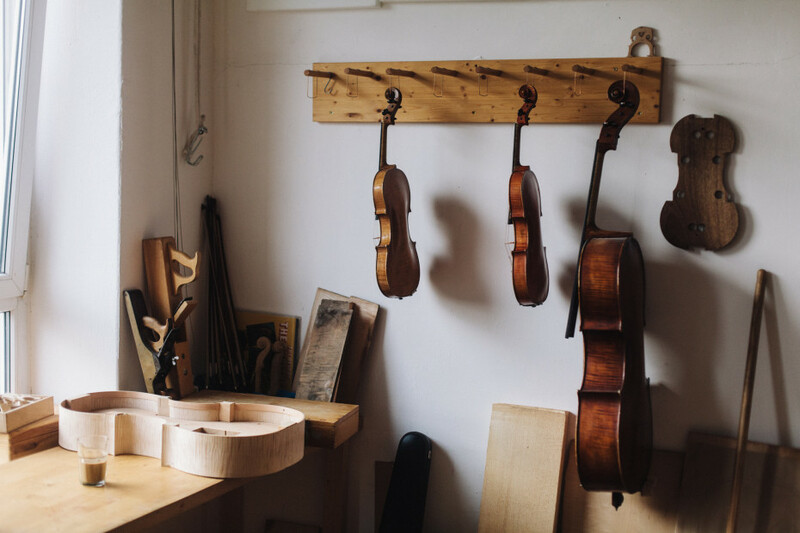 Frank Rittwagen has been making violins and stringed instruments for over 25 years. There is an impressive intimacy in his craft, inspired in his childhood by an aunt with whom he turned empty wooden cigarette boxes into small stringed instruments. The luthier has a stunning family-owned musical legacy, born of generations of music lovers before him. Today, he makes objects so personal that the energy of his craft flows through them, with every touch. In Frank Rittwagen's violins, you can feel music. Every piece of wood carved, each chord, every precisely crafted detail contributes to the creation of a new instrument, like no other in the world.